Christie's auction house in South Kensington, London. Christie’s is a world-famous auction house and the informal name for the London firm of Christie, Manson & Woods, the oldest fine-art auctioneers in the world. Founded in 1766, Christie’s offers more than 600 sales each year in more than 80 categories including fine art, jewelry, photographs, antiques, collectibles, wine, automobiles and more. The firm maintains 85 offices in 43 different countries, and has showrooms in locations worldwide including London, New York City, Los Angeles, Paris, Milan, and Hong Kong. Christie's has held the greater market share against its longtime rival, Sotheby's, for several years, netting global sales of $4.67 billion in 2006. Despite the scandal that involved both auction houses at the beginning of the twenty-first century, Christie's prides itself on the exemplary client service and extensive experience that have been its two most important assets as it continues to serve the public the world over by facilitating their buying and selling items of the highest value. Christie's auction house was founded in London, England, on December 5, 1766, by James Christie. Gaining friends in the art world that included Sir Joshua Reynolds, Thomas Gainsborough, and Thomas Chippendale, Christie first held only studio auction sales for prominent artists. The auction house handled many historic art sales, including the sale of Sir Robert Walpole’s painting collections to Catherine the Great of Russia in 1778. Christie's soon established a reputation as a leading auction house, and took advantage of London's new found status as the major center of the international art trade after the French Revolution. In 1803, James Christie II, an expert on ancient Greek and Italian sculpture, took over the auction house after his father’s death. He moved the firm to 8 King Street, where the company stands today. After the addition of partners William and Edward Manson, and Thomas Woods, the firm took the official name of Christie, Manson & Woods. In the late 1950s, the firm expanded, opening offices in Rome in 1958, Geneva in 1968, and Tokyo in 1969. 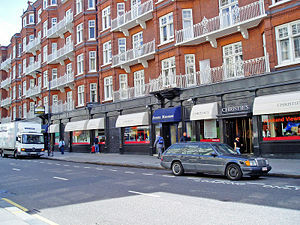 In 1975, Christie’s opened a second London salesroom in South Kensington to deal with the auctioning of collectibles including cameras, teddy bears, scientific instruments, toys, and dolls in the middle market. Christie's South Kensington location has become one of the world’s busiest auction rooms. In 1973, the company went public, eventually being purchased by French investor Francois Pinault in 1999. In 1995, Christie's became the first international auction house to exhibit works of art in Beijing, China and in 2001, the firm held its first Paris auction after the French government removed traditional controls over auctioneering in France. Christie's maintains offices worldwide including New York City, Los Angeles, Paris, Amsterdam, Berlin, Milan, Japan, Australia, Hong Kong, Singapore, Bangkok, Tel Aviv, Dubai, and Mexico City. In 2000, allegations surfaced of a price-fixing arrangement between Christie's auction house and Sotheby's auction house. Executives from both Christie's and Sotheby's subsequently admitted their participation in commission-fixing collusion. Christie's gained immunity from prosecution in the United States after a longtime employee of Christie's confessed and cooperated with the U.S. Federal Bureau of Investigation. Numerous members of Sotheby's senior management were fired soon thereafter. A. Alfred Taubman, the largest shareholder of Sotheby's at the time, took most of the blame. Christie's American branch in Rockefeller Center, New York. To supplement its auction houses throughout the world, Christie's has developed an online auction system, Christie's Live, allowing bids to be made through the internet from anywhere in the world. Christie's Live allows potential bidders to hear and watch the auctioneer conducting a sale live in the saleroom, and enter bids from their computer. Initially operating in the New York and London locations, this system is expanding to Amsterdam, Hong Kong, and Paris. Christie’s is the publisher of Christie’s Magazine, a literary magazine that contains articles on collecting and news of upcoming sales. The magazine offers appraisals and valuations through the firm. The company also maintains Christie’s Images, a picture library for the auction house which holds an archive of several million fine and decorative art images representing items sold throughout Christie’s sale rooms around the world. The firm sponsors Christie’s Education based in London, New York, and Paris. The program offers an extensive range of educational courses at the Master's, Diploma, and Degree level in courses of fine and decorative art. In addition, Christie’s offers its Fine Art Security Services which provides storage for certain works of art, as well as Christie’s Great Estates which deals with the sale of unique real estate. In 2003, a Christie's New York sign was created by film director Nancy Meyers during the production of the movie Something's Gotta Give for an exterior shot. The auction house liked the sign so much that they requested the production leave it after shooting finished. The sign continues to adorn the New York branch. Christie’s has engaged in various historic sales including the auctioning of Sir Joshua Reynold’s art studio in 1794. The firm was also selected for the selling of Madame du Barry’s jewels in 1795, and the 40 day sale of the Stowe House Collection in 1848. In 1882 Christie’s handled the 17 day sale of Hamilton Palace pictures, auctioned off Sir George Drummond’s artistic collection in 1919, and organized the sale of the Ford Collection of Impressionist paintings in 1980. Christie's has also auctioned artwork and personal possessions linked to historical figures such as Pablo Picasso, Rembrandt, Diana, Princess of Wales, Leonardo da Vinci, Vincent van Gogh, Napoleon Bonaparte, Marilyn Monroe, and others. In 1998, Christie's New York sold the famous Archimedes Palimpsest after the conclusion of a lawsuit in which its ownership was disputed. In 1990 the firm set two international records with the sale of the Badminton Cabinet for $15.2 million marking the highest price ever paid for a piece of furniture at auction. The event was followed by the sale of Vincent van Gogh’s Portrait of Dr. Gachet which sold for $82.5 million, making it the most expensive painting ever sold at auction at the time. In October 2006 Christie's auctioned 1,000 lots of official Star Trek contents from the CBS Paramount Television studios. A model of Starship Enterprise-D, used in Star Trek: The Next Generation and Star Trek Generations productions sold for more than $500,000. In December 2006, Christie’s South Kensington sold the black dress worn by Audrey Hepburn in the film Breakfast at Tiffanys for £467,200. ↑ Dan Ackman, Brooks Claims Taubman Initiated Price-Fixing Forbes.com. Retrieved December 4, 2007. ↑ "40 Years of Star Trek: The Collection" memory-alpha.org. Retrieved December 4, 2007. Christie’s. Who We Are Christie’s.com. Retrieved December 4, 2007. Encyclopædia Britannica. 2007. Christie's International PLC Britannica.com. Retrieved December 4, 2007. Encyclopedia Britannica. 2006. Christie’s Answers.com. Retrieved December 4, 2007. All links retrieved February 18, 2017. This page was last modified on 18 February 2017, at 21:11.